it's worth knowing more about where kidney cysts come from, as well as how they appear and their possible symptoms. Read all about them here! Surely, you’ve heard about kidney cysts more than once. That’s because it’s a condition that is very common among our population. However, it’s usually not considered to be extremely serious. Nonetheless, it’s worth knowing more about where kidney cysts come from, as well as how they appear and their possible symptoms. We explain all this in this article! We all know the important functions that our kidneys fulfill. They filter our blood, clean our body, control the salt in our body, and separate the waste substances that we discharge in our urine. The kidneys are two essential organs for our overall health, which is why it’s so important for us to know the possible illnesses associated with them. But let’s get to the point. What’s a kidney cyst? Well, it’s a sac or cavity full of air or liquid. They normally consist of a membranous sac of abnormal character containing fluid. Kidney cysts are lumps that emerge to the surface from the kidney itself or from the nephrons. They’re usually the size of a lentil, but some cysts can grow to be the size of an apple. They grow little by little and, inside them, there’s usually harmless fluid rather than pus or blood. 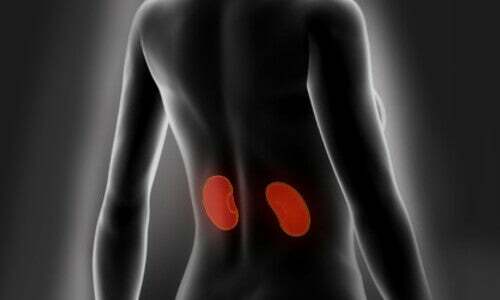 Who commonly suffers from kidney cysts? First of all, we have to minimize the severeness of the matter. Kidney cysts aren’t a synonym of cancer or of a complication that might take away our quality of life. Simple kidney cysts are very common, especially when we start getting older. In this regard, they tend to appear when we’re in our 50s. Although we can also get them before that age, they tend to appear with greater frequency after our 50s and 60s. Once again, we assure you they’re usually harmless. But why do kidney cysts appear? They normally start to appear as the years go by, due to the nephrons (the parts of the kidney that are in charge of filtering our blood). They start getting bigger and start to fill up with fluid. Scientists don’t know exactly why they happen, except that they happen over the years, like small injuries that cause the fluid to accumulate until it gets to a considerable size. It’s also worth mentioning that kidney cysts aren’t hereditary. Normally, the answer to that question is “no”. They’re usually not serious. Simple kidney cysts are associated with age and happen very frequently. This is why they’re called “simple kidney cysts”, and they usually don’t transform into cancerous tumors. Also, they’re almost always harmless. Nevertheless, we should learn to identify them and control them. 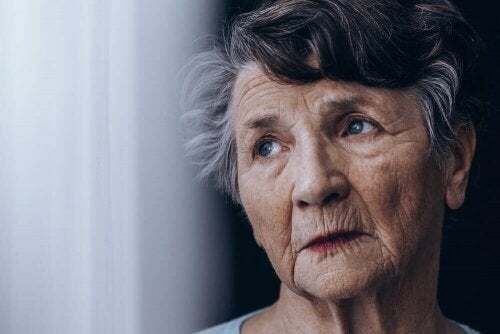 If their walls are thick and irregular, then they could be associated with a type of cancer. But 70% of them are usually harmless and inoffensive. What are the symptoms of a kidney cyst? Simple kidney cysts normally don’t have symptoms. This is why most people don’t even realize they have a cyst or even 7 cysts in one kidney. When they’re discovered, it’s by accident in X-rays or in a computerized axial tomography scan (CAT). Pain in the abdomen, ribs, hips, stomach, or back. Urinating more often than usual and blood in the urine. How do you treat simple kidney cysts? Due to the fact that they’re usually harmless, they’re oftentimes not treated. But if a cyst is forcing a lot of pressure on the kidney, it will end up hindering its function, so there will be no other option than to intervene. Suction or sclerotherapy: The cyst fluid is eliminated with an injection. Surgery: It’s generally done through laparoscopy, using thin instruments that are inserted through small perforations in the abdomen. During the surgery, the doctor drains the cysts and then clips them off or cauterizes them. This surgery is very quick and the patient will only be in the hospital for a couple of days. Can I prevent kidney cysts? Avoid smoking and drinking alcoholic beverages. Drink two liters of water a day. Avoid salts, refined flours, sugar, and carbonated beverages. Eat fresh fruits and vegetables and avoid red meat. 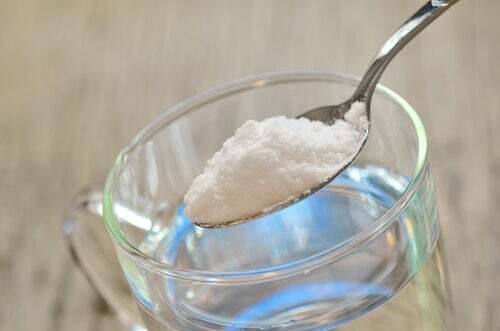 Drink a cup of water with a teaspoon of baking powder after dinner for ten days a month.